Although a pharmacy technician’s primary job is to fill prescription requests submitted by a doctor, physician, nurse, or patient, the job description is continuously expanding as employers add new tasks. 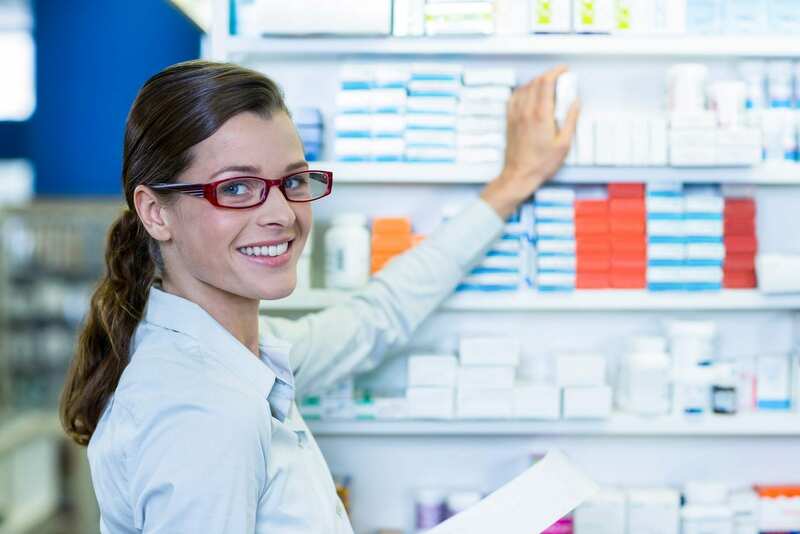 Both community and institutional pharmacies are busier than ever, and pharmacy technicians have to assume additional role and responsibilities. Fortunately, pharmacy technician training programs prepare students to fulfill the added responsibilities as directed by a registered pharmacist. Working in a clean and organized environment, the technician will manage inventory, take medication histories, distribute medication, supervise junior technicians, explain medications and their side effects to patients, provide emergency care, resolve insurance issues, communicate with physicians, and manage administrative tasks. The increasing medical needs of the senior population are expected to boost employment of pharmacy technicians according to the Department of Labor Statistics. Opportunities are available in hospitals, chain drugstores, retail pharmacies, nursing homes, and mail order facilities. Despite the demand, employers are more apt to hire certified technicians because it demonstrates a level of competency and commitment to the profession. Certification is not mandated by the State Board of Pharmacy. However, technicians who take the time to achieve national certification will have a competitive edge during the job search and will improve their earning potential and career advancement opportunities. The pharmacy technician program at Access Careers prepares students for certification as a pharmacy technician as well as employment in a community or institutional pharmacy. The 120-hour program covers classroom instruction in controlled substances regulation, parental admixtures and sterile products, federal pharmacy law, routes of administration, introduction to pharmacy tech, drug types, and dosages. Students also learn transcription of prescription and hospital orders, introduction to pharmacology, pharmaceutical mathematics, drug classification, and clinical laboratory skills. Classes meet Saturdays and Sundays from 10 am to 4:30 pm for 10 weeks. Applicants must have a high school diploma or GED. Graduates are encouraged to sit the Pharmacy Technician Certification (CPhT) exam administered through the ExCPT. Tuition costs $1,500 including the registration fee of $100. The pharmacy technician course at Barry Tech teaches students the skills they need to perform the role of a pharmacy technician under the supervision of a registered pharmacist. The development of communication and customer service skills is a critical component of the training. An experienced instructor will cover medical and pharmaceutical terminology, pharmacy law and ethics, pharmaceutical techniques, pharmaceutical calculations, and communication. Practical experiences in a mock laboratory will give students the opportunity to prepare prescription medication, label bottles, price and file prescriptions, compound prescriptions, count tablets and measure liquids, weigh and measure prescription ingredients, and prepare insurance forms. In addition to classroom instruction, students will participate in a work-based clinical experience at a local pharmacy, such as Walgreens Co., Shipmans Pharmacy and Kings, or Parkside Pharmacy, to reinforce their knowledge base. The program is open to students in grades 11 or 12. Applicants must have a strong basic math background. The duration of the training is 1 to 2 years. College credits may be given for the program. Adults who are considering a career a pharmacy technician are invited to attend the Pharmacy Technician Career Seminar at Molloy College to determine is the pharmacy technician program is a right fit. The program is offered by the Division of Continuing Education and Professional Development and prepares students for PTCB certification and entry-level employment in a pharmacy setting. The curriculum comprises of 160 hours of theory and externship. 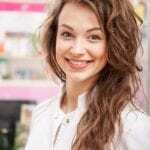 Students spend 80 hours in the classroom before completing the 80-hour externship at a local retail community pharmacy to integrate the classroom theory in a real-world setting. The program is offered on an evening or weekend schedules. Evening classes meet two days a week for 13 weeks. The Saturday class meets for 12 weeks. The externship requires a daily commitment of 10 hours a day for a total of 10 days. Entrance to the program requires a high school diploma or equivalent. Applications must be submitted at least two weeks prior to the start of classes. The program is open for admission 3 times a year in the fall, spring, and summer semesters. Tuition costs $1,800. Candidates who have been accepted must make a tuition deposit of $900. The balance is due prior to the first day of classes. The tuition does not include textbooks, practice exam, and lab coats. Students who did not master the course in the first attempt can re-register for the course free of charge. The pharmacy technician certificate program at SUNY Long Island qualifies students for success on the PTCB exam. Graduates who succeed on the PTCB will become nationally certified and will hold the CPhT designation. The program runs for one semester (14 to 15 weeks). The curriculum combines classroom and practical learning experiences so graduates are prepared to support registered pharmacists in a retail or institutional pharmacy.